Step 2: Forward THIS webpage to your loved ones. Optional Step 2.5: Always leave a note! 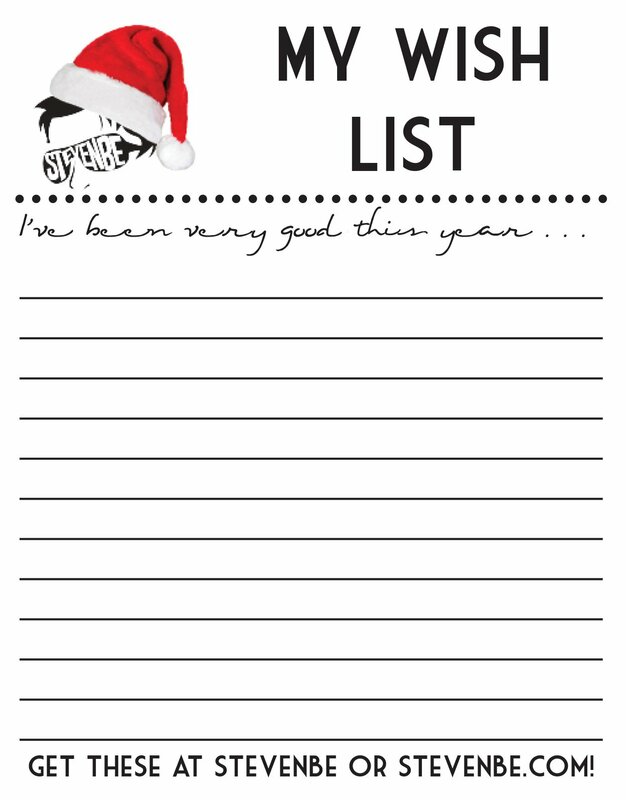 Download our Wishlist below, leave it out for your family. Steven will be playing Santa for some of our lucky customers! Click here to download the Holiday Wishlist!